As MusicRadar has previously reported, The Beatles: Rock Band will be released 9/9/09 (the same day as The Beatles' remastered catalogue). Today MTV Games and Harmonix have announced 15 of the 45 songs that will be part of the game. 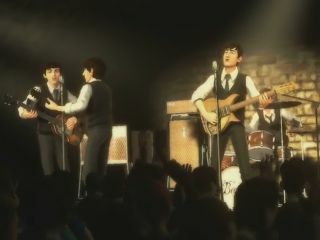 In addition, a new gameplay trailer for The Beatles: Rock Band has just been unveiled featuring eight of the 15 newly revealed tracks. You can view it by clicking here. As MusicRadars readers know, Dhani Harrison has been heavily involved in the creation of The Beatles: Rock Band. And according to a spokesman for MTV Games/Harmonix, Paul McCartney provided some unofficial fact-checking for the game, making minor tweaks in the chronology.